An imaginative fantasy adventure full of magic, mythology, brilliant new friends, and deadly new enemies . . .
Twelve-year-old Max McDaniels lives a quiet life in the suburbs of Chicago—until the day he stumbles upon a mysterious Celtic tapestry. Many strange people are interested in Max and his tapestry, and his discovery will lead him to Rowan Academy, a secret school where great things await him. But dark things are waiting, too. When Max learns that priceless artworks and other gifted children are disappearing from around the globe, he finds himself in the crossfire of an ancient struggle between good and evil. Henry H. Neff was a successful business consultant in the Chicago area until the day he quit his job and moved out west to pursue his dreams. 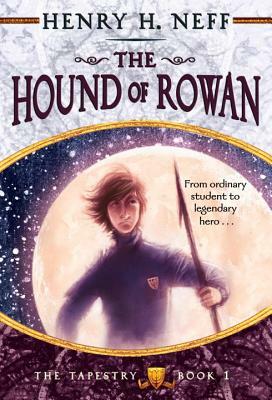 The Hound of Rowan is his first book. He lives in San Francisco, California.